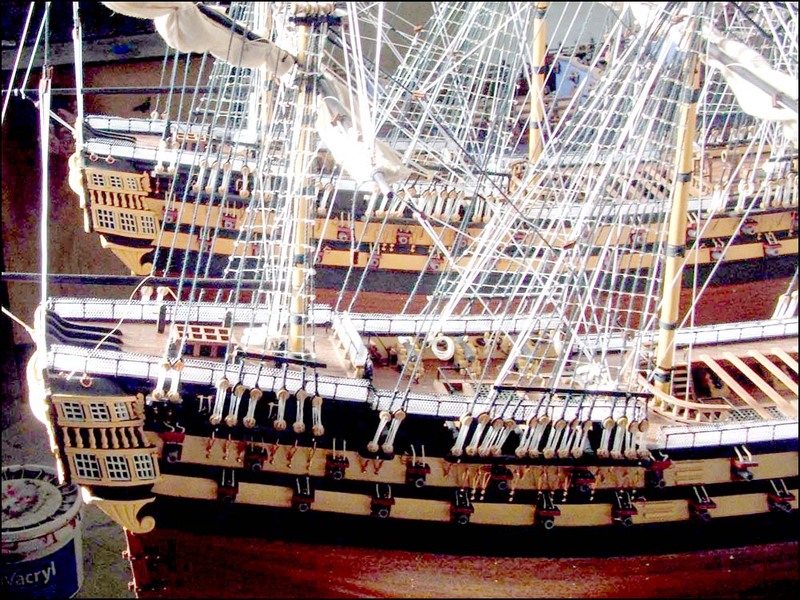 We are Admiralty Ship Models Ltd and are a United Kingdom registered company based in Bristol. We have been selling our ship models online since 2003 and we have more than 20 years' experience in building quality ship models. We offer quality handmade wooden sailing ship models (scratch built static display model ships) and other nautical gifts at affordable prices. Each one of our famous historic ship models is handcrafted from scratch using the best wood (mature solid hardwoods such as teak) for excellent durability. Our models involve hundreds of hours of manually challenging work with minute attention to detail and every step in the build of our models requires very precise skills. This type of skilled craftsmanship is harder to come by these days. Our handcrafted sailing ship range from large-scale tall ship models to medium size scale model ships and general nautical decor. We are confident that the quality of our products is a class above that of other sellers. All our ship models come fully built and ready for display. We don’t sell kits and our models are not made from kits. We do not use wood veneer or plastic and we do not cut corners in the build of our models. All the ships decorations and ornaments are hand-carved wooden pieces. Our authentic models are not built from prefabricated kits but are based on the original Admiralty Ship Models plans available in the UK. All the ship replicas on our site are completely scratch-built using a wooden plank on frame technique using wood that is cut and worked by our own craftsmen. We thank you for showing interest in our work. We hope you enjoy browsing our website and appreciate the amount of work and attention to detail that has gone in each one of our model ships. Should you have any query about our ship models, please do get in touch. Please follow us on Facebook and Twitter to hear our daily news.